For Dieticians, Chefs Firms, Restaurants Owners, Nutrition Experts And Various Segments Related With Same Industries. Food is the basic need of all living organisms. It is the food which you furnish to your mind and body that determine the whole character of your life. 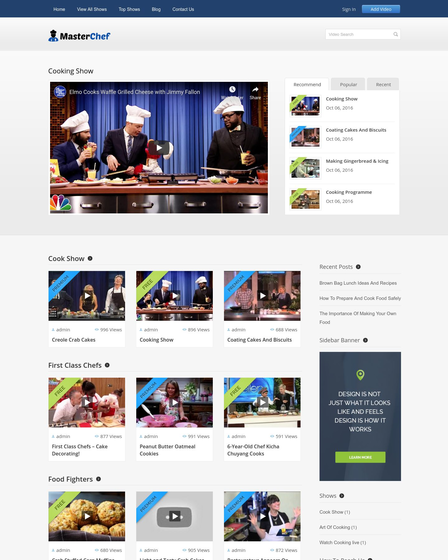 If you are associated with the food business and want to publish your food recipe to every part of the globe then CookDish is premium and responsive theme specially designed for your business to propagate everywhere. With this, you can notify your subscriber with the latest recipe of your dishes. 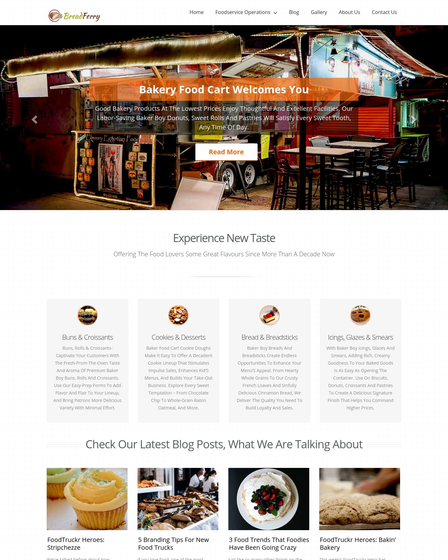 This cooking WordPress theme is also best suited for the professional organizations like dieticians, chefs firms, restaurants owners, nutrition experts and various segments related with same industries. 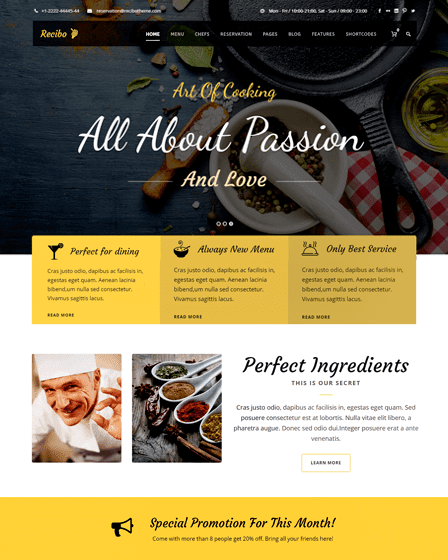 Recipe subscription service WordPress theme provides you the feature section where you can display your culinary art to every foodie lover, your cooking skill will directly display on the homepage of the template with brief descriptions. The testimonial section of the theme provides you to know the opinion of the subscriber on your recipe. This section will help you to correct all the mistakes that followers were facing by which you can able to provide quality service to your subscribers. Template offer you a feature to publish your ideas or any information via blogs. You can upgrade your subscriber like how they can change up their wardrobe according to season same they should also switch up their recipe too to counter the icky side effect of that season. 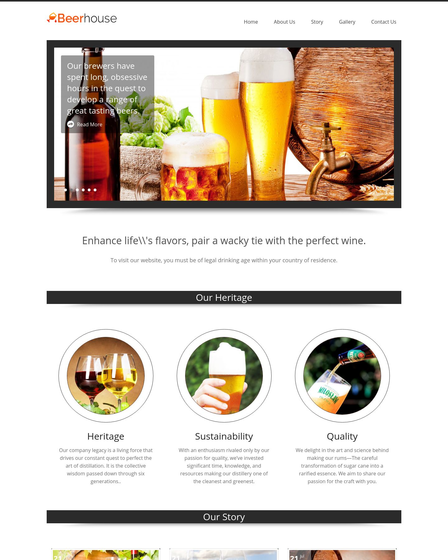 Template has subscription section from which your customers or visitors can register with their Email Id to get the latest update your recipe. This subscription feature also allows making the email marketing of your business. Template access you to make dropdown pages, in which you can mention the recipe of different food categories like veg dishes, non-veg, continental, Chinese, etc. 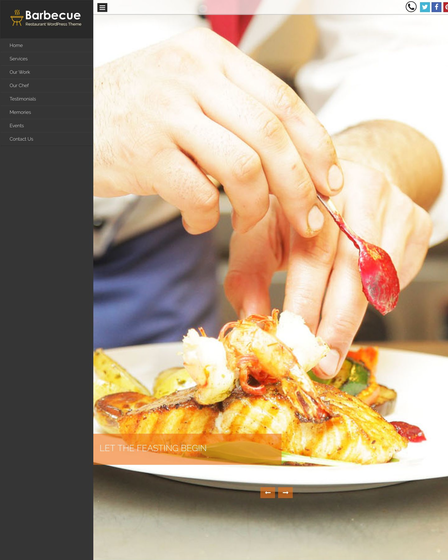 It will make easy access for your subscribers or visitors to hunt for the specific recipe of dishes.